In a sensational disclosure quoting “intelligence sources”, former Australian Foreign Minister Alexander Downer wrote in the Financial Review newspaper on Sunday that the Saudi journalist Jamal Khashoggi who was murdered on October 2 in Turkey was far from a “bleeding heart liberal” but was a seasoned intelligence agent and a sympathizer of the Muslim Brotherhood working on regime change in his country. What has been so far in the realm of intuitive deduction now becomes actual fact. Downer’s disclosure completely transforms the narrative about Khashoggi’s death and it is bound to be hugely consequential. Suffice to say, it’s out of the question that the intelligence on the Muslim Brotherhood project for regime change in Saudi Arabia involving Khashoggi, Turkey and Qatar was not available with the CIA and MI6 as well. Saudi Arabia is a key ally of the US and yet, are we to believe that the CIA and the MI6 simply sat on such sensitive intelligence? That is to say, a tantalizing proposition pops up: The CIA and MI6 were covertly backing Khashoggi’s project to change the regime in Saudi Arabia. Indeed, it is obvious that the American media commentators who are known to have close links with the US intelligence establishment went ballistic no sooner that it transpired by the evening of October 2 that Khashoggi who walked into the Saudi Consulate in Istanbul earlier in the day had failed to come out of the compound. The hysteria whipped up over the incident right from Day 1 in such a sustained fashion is unprecedented. The Saudi prince Turki al-Faisal – son of a former king and cousin of the crown prince, a former Saudi intelligence chief and ambassador to both the US and Britain, as well as a once-close associate of Khashoggi’s – asked recently with indignation why there should have been such brouhaha at all. Turki said with biting sarcasm that “people in glass houses should not cast stones. Countries that have tortured and incarcerated innocent people” and “launched a war that killed many thousands . . . based on fabricated information, should be humble in their regard to others,” he said, in a clear reference to US counterterrorism policy and the invasion of Iraq. The bottom line is that the explosive anger and fury of the “Deep State” in America over the death of Khashoggi can only be understood with Downer’s intelligence input – namely, that Khashoggi was a priceless “asset” of the US intelligence establishment and the Saudis simply eliminated him. Now, if the “Deep State” was promoting Khashoggi, President Donald Trump was either unaware of it or was deliberately kept in the dark. The point is, Trump seems to be in splendid isolation even today in his aversion to punishing the Saudi regime for Khashoggi’s murder. Trump is openly evasive although Turkish President Erdogan even penned an op-Ed in the Washington Post newspaper in the weekend alleging that Saudi leadership “at the highest levels” was involved in Khashoggi’s murder. Of course, this is not the first time in US political history that the “Deep State” would have acted behind the back of an incumbent president. But then, Trump is different from Dwight Eisenhower or John Kennedy. And he staunchly believes that nothing should be done to destabilize Saudi Arabia. Under the circumstances, Downer’s intelligence input will work just fine for Trump if he wants to shake off the pressure from the “Deep State” which has been attempting to force his hands against the Saudi regime. Coupled with the fact that Israeli lobby has also waded into the Khashoggi affair arguing against any US moves against the Israel-friendly Saudi Crown Prince Mohammed bin Salman, the odds are heavily favoring Trump’s policy of “hear no evil, see no evil, speak no evil” against the Saudi regime. However, the US intelligence establishment is smarting from the humiliation meted out by the Saudi regime and is unlikely to retreat in embarrassment. 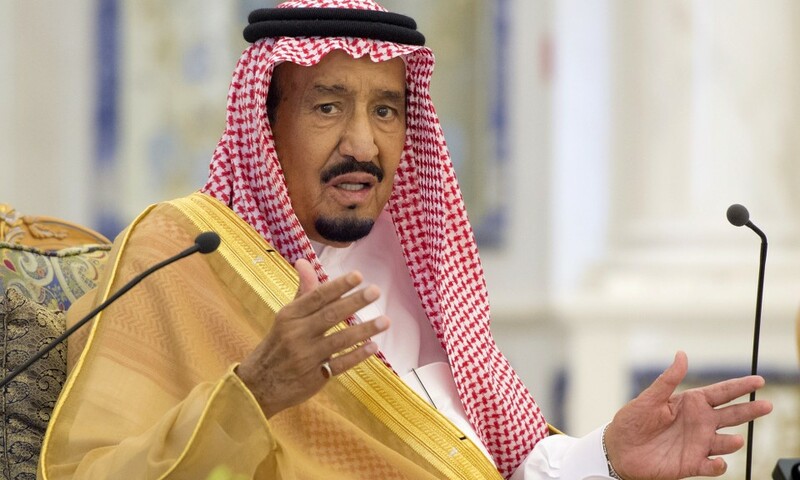 The high probability is that it will wage war by other means – until Islamic democracy prevails in Saudi Arbia. Bruce Riedel, a Middle East expert at the Brookings Institution, who served for three decades in the CIA, told the New Yorker magazine last week: “There is no political way out (over Khashoggi affair), except through violence.” It is an ominous remark by an ace intelligence operative of yesteryears who knows Saudi Arabia like the back of his hand.